Kryptos’ 15th Anniversary Celebrations at Max Mueller Bhavan, Bangalore | WhatsTheScene? 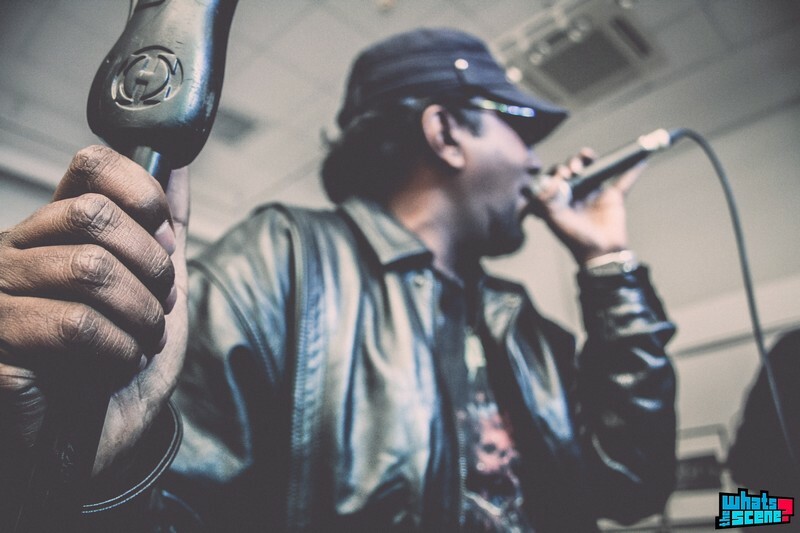 Goethe Institut, Bangalore witnessed India’s heavy metal band, Kryptos’ extended 15th anniversary celebrations on the 25th of January. 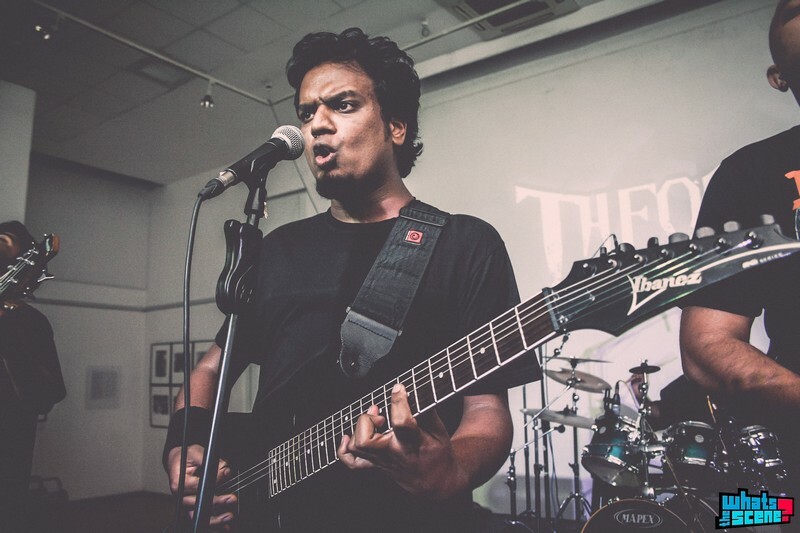 The Saturday was a tribute to old school heavy metal with Bangalore-based thrash metal band Theorized opening for Kryptos, and vocalists from Bhoomi, Dying Embrace and Witchgoat making appearances as special guests, to the delight of fans. The evening began with Theorized ripping the stage apart with Ankit Suryakanth’s shredding lead solos. Yash Kumar’s drumming served as the backbone of Theorized’s music. They had a fully fledged set list, with fast paced riffs, and tempo and count changes that could not allow the crowd to stand still. Soon enough, they began to grow brutal, in response to the Yash’s high speed double kick drumming. Ankit’s extraordinarily extended guitar solos was worth paying homage to. Though initial sound issues were an encumbrance for the band, what it lacked was powerful vocals contributing to the dark atmosphere. Less than ten people were moshing at first but later, an aggressive and brutal crowd filled the area, leaving gaps for none. 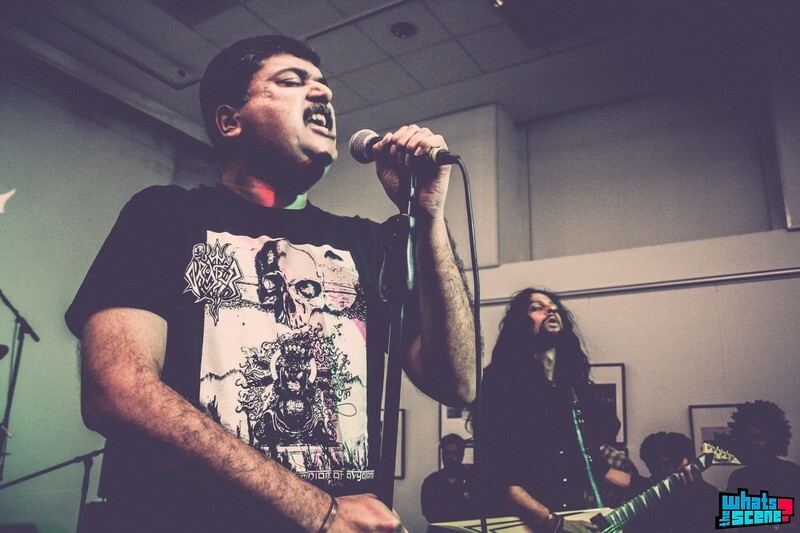 Heavy metal clogged the air with Nolan’s raspy vocals, Ganesh’s bass, Rohit’s extended solos and Anthony’s powerful triplets and hammer blasts. Their songs ‘Nexus Legion’ and ‘The Mask of Anubis’ with its progressive riffs conjured a moshpit too ferocious for the place to handle. Rohit’s dexterity made people headbang at his feet, while Ganesh besieged his fans with his skill at the other end. Nolan kept the crowd mesmerized with the band’s Wacken tales, and soon enough, Kryptos was joined by vocalist Sujay Harthi from Bhoomi. 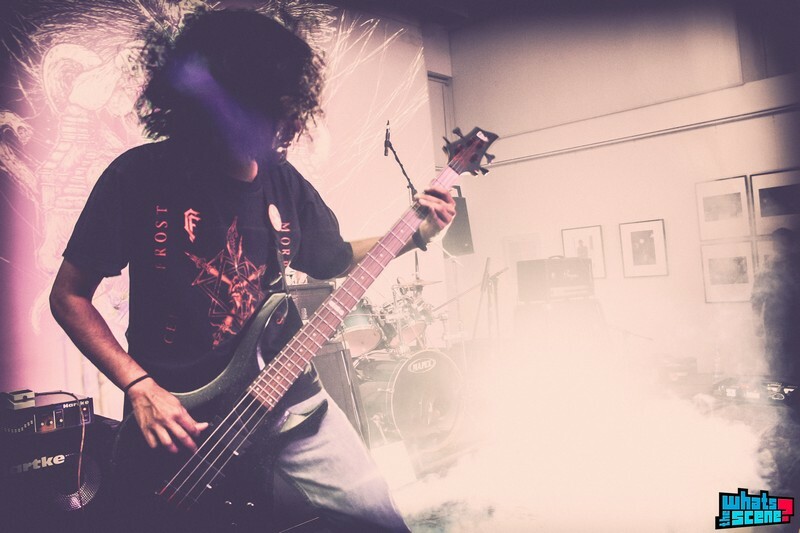 The events that followed next were of pure metal consequence as the gig time travelled to the days of Iron Maiden, Black Sabbath, Judas Priest and Metallica. ‘The Trooper’ shook the place with Sujay ‘s vocals almost in lieu with Bruce Dickinson. As it ended, Dying Embrace’s Vikram Bhatt took possession of the stage. 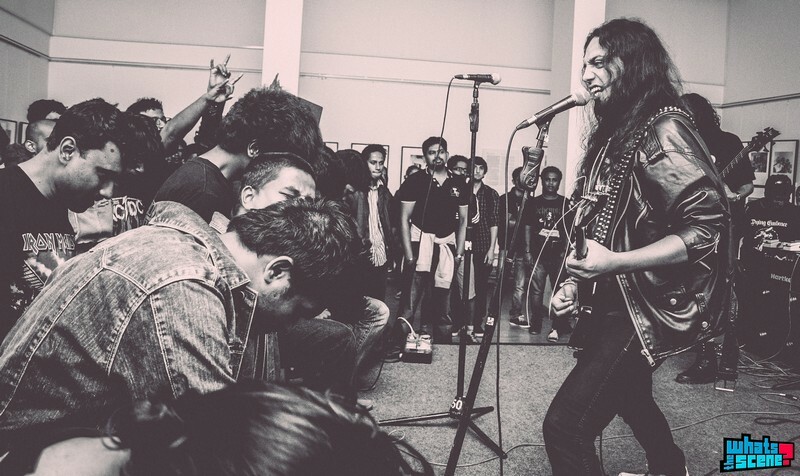 Bhatt covered Black Sabbath and Judas Priest, while enticing the crowd to sing along and headbang throughout. Bharad Ravi from Witchgoat gave a neck-wrenching performance of ‘Creeping Death’ and ‘Seek & Destroy’. Anthony Hoover’s drumming was adrenaline- inducing and the covers were perfect. Kryptos performed a final song, accompanied by Rohit’s complex solo. The clock struck 10 before the crowd knew it, and it was long before the blend of melodic metal and thrash metal music could leave them undeterred. Kryptos and Theorized kept the evening going and Nolan’s conversations kept the audience engaged. The continuous technical issues which Rohit faced were the only things that did not go as planned. 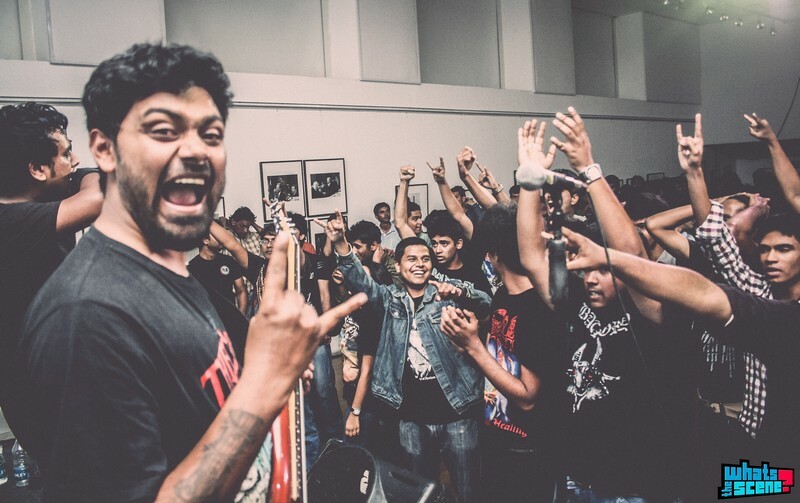 All in all, Kryptos made sure that its 15th anniversary was celebrated with a huge metal bang!